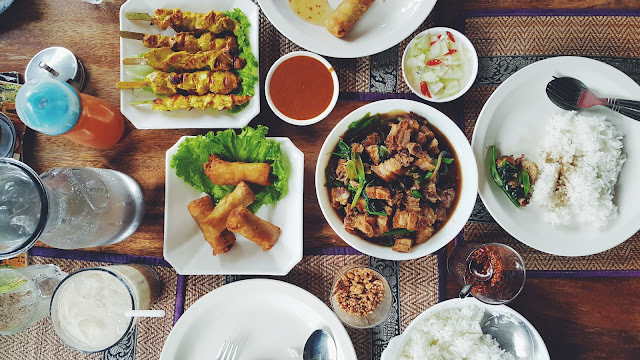 The first time I ever tried authentic Thai food was back in 2009 at the well-known S.R. 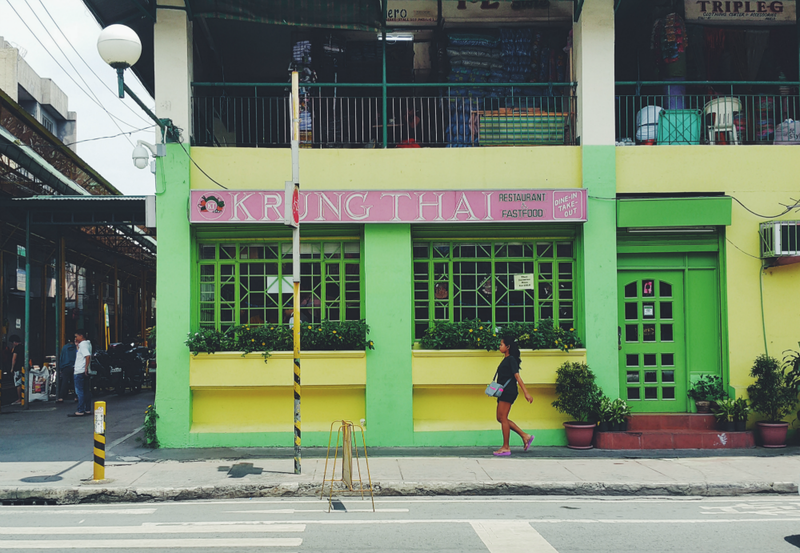 Thai Cuisine in Dapitan. 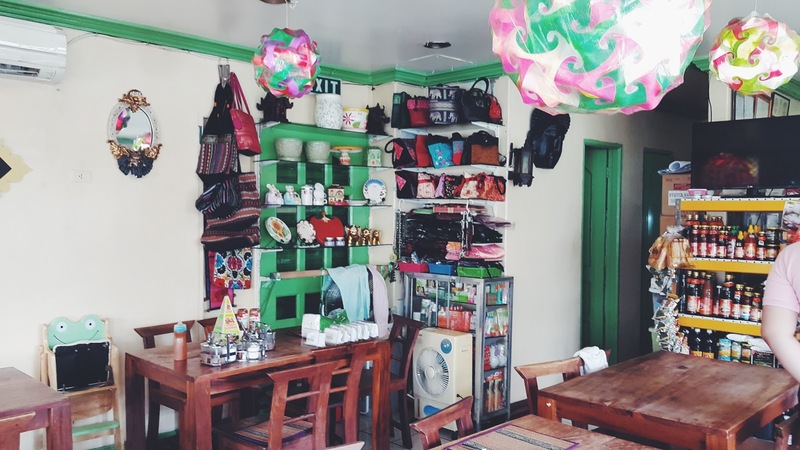 I even posted a short review about the resto in the now defunct Multiply. Back then, I was more of a cheeseburger kind of person and trying Asian cuisine was a totally big thing for me. Hahaha. I remember dining at Just Thai in Molito, too, for my mom's birthday celebration. That was it for me. I don't have much knowledge about it except for pad thai. Hehe. Bell was raving about Krung Thai for quite some time now, and finally, we were able to go there a week ago. I wasn't supposed to go but I changed my mind the last minute because I wanted to eat somewhere new, and oh boy, this was one of my best decisions in life. Haha! 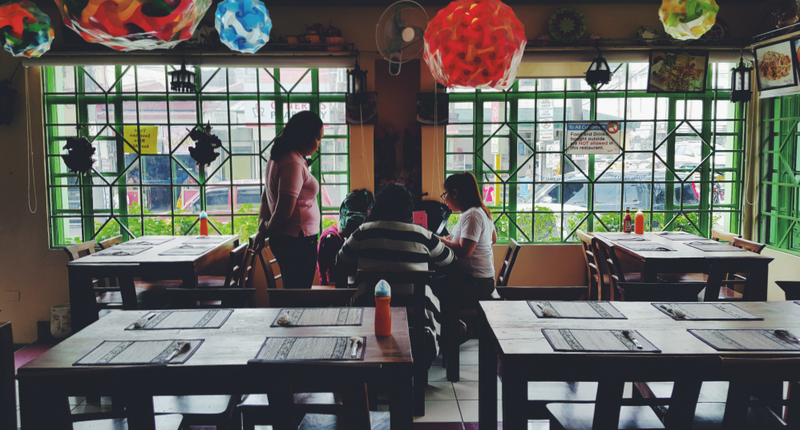 The restaurant is easy to locate with its lemon and lime-colored walls (given that you know how to get to Marikina Public Market lol), and though a bit small, the interiors exude coziness and charm. The layout of the resto is quite simple, and of course, it screams Thailand all over. There are so many things to see once you get settled. They even have a little corner that sells bags and other stuff (there are chocolates, bottles of Sriracha sauce and other condiments!) I think I'll get a bag for my mom the next time we visit. I've not seen everything they're selling on that nook because I was so excited for the food. Haha. You must, must, MUST (*exclamation points*) try the Thai spring rolls. It's like Vietnamese spring rolls but more flavorful. I could not even emphasize enough how delicious that was. 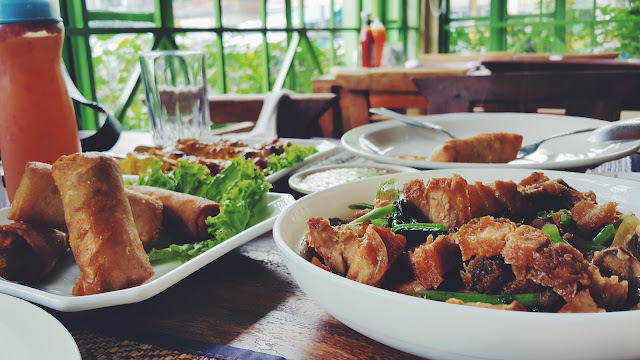 I wouldn't mind traveling to Marikina just to have those again. I've read on other blogs how they find the spring rolls' wrappers thick or too oily, but I disagree. It was the best thing I've had for the longest time. Seriously. I am in love with it. So filling, flavorful and satisfying. Since I'm completely a Thai food newbie, I kept wondering why they put kangkong together with the crispy fried liempo instead of broccoli like it said on the menu. Turns out, it was actually Chinese broccoli. Hahaha. I am Jon Snow because I know nothing. 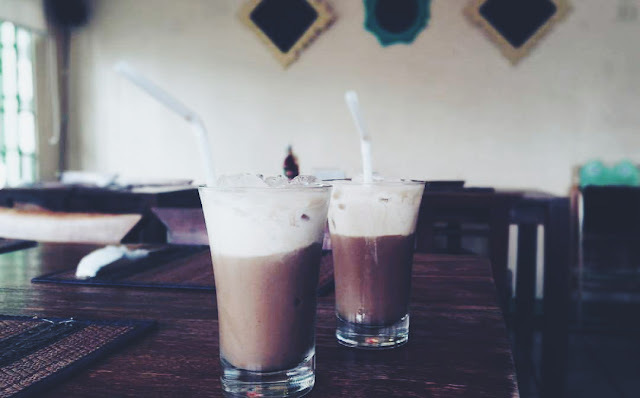 Thai Iced Coffee (PhP 89). Photo by Muffet Sta. Maria. And since our day at Marikina is just starting, I sampled their iced coffee. I figured I need the extra perk to function that day. I must say it's also worth trying! I really liked it even though I'm not a big coffee drinker. I think you'd find it funny when I say dining here was one of the best decisions of my life but it is true. Hahaha. A big thanks first to Bell for insisting we eat there! Being able to have a great gastronomic experience always brings a more positive outlook to a person, maybe I needed it at that moment that's why I was so satisfied -- euphoric even. Thai Krung was able to deliver it. Superb food (big servings), great ambiance and pleasant customer service! I had a grand time with my favorite girls! 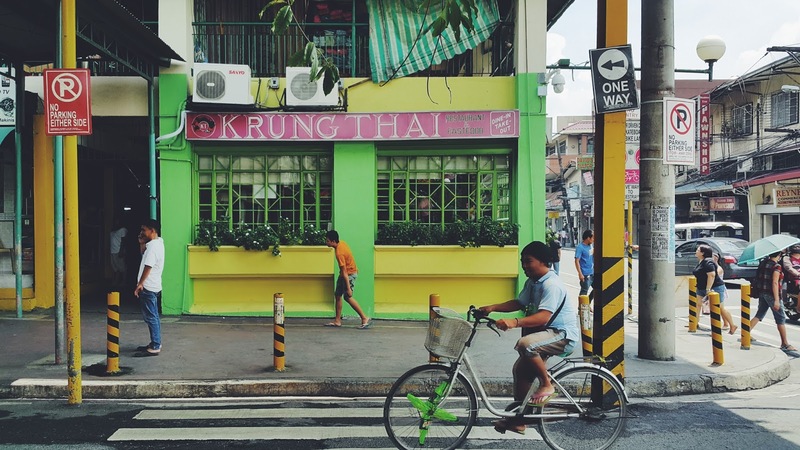 Don't forget to try the Thai spring rolls, okay? 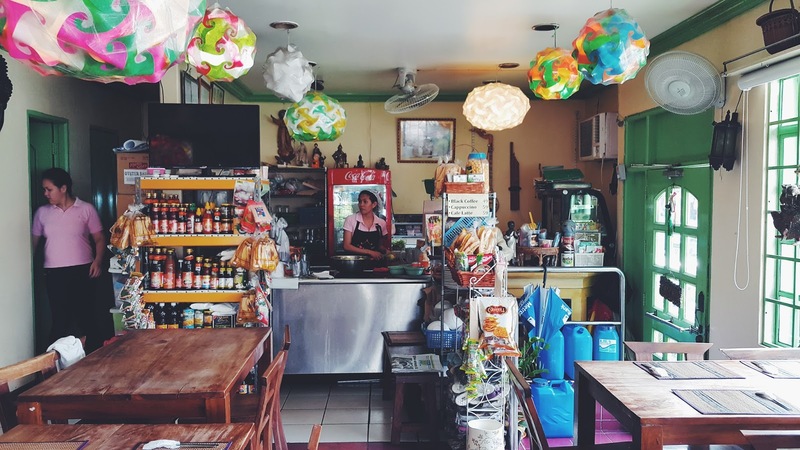 This Marikina gem is worth the travel!